Properties in Ovest average 4.5 out of 5 stars. Property 1: Elegant home, with garden, terrace, parking, all inclusive! MyVerona ❤️ : the perfect choice in Verona! 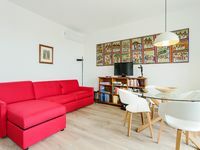 Property 24: MyVerona ❤️ : the perfect choice in Verona! Property 26: Casa Giorgione di Luca & Paola - Apartment two. 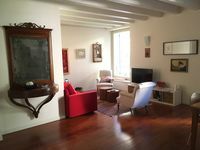 Property 42: La Mansarda Segreta Boutique Apartment: a charming accommodation in Verona. we like it so much we are staying 3 weeks! Lovely newly redone flat on the top floor with an awesome patio and furniture. East facing for nice morning sun and the patio is sunny till about 4pm. The is kitchen is compact but very functional, tho I wouldn't plan on preparing a gourmet meal. The bathroom has a huge shower. Both bedrooms are good size with good ambient light. It is centrally located. great place in a great location.